It doesn’t take much to make some cities angry. 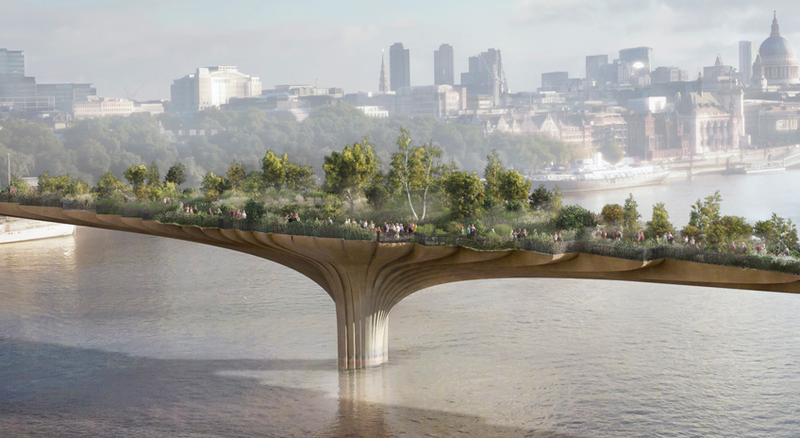 But in London, a special kind of rage is flowing over a project that seems pretty unobjectionable: A footbridge over the River Thames. Why? Upon what grounds do these grinches oppose such a grand vision? Actually, they have pretty good grounds. As Gizmodo’s Chris Mills so aptly pointed out back in December, London is in the midst of a critical housing shortage, and its transit system is rapidly aging. This 1,200-foot bridge, which was originally supposed to be paid for with privately-raised funds, will cost roughly $300 million to build—about $91 million of it from the government. Plus it’s not really a public bridge, per se: It will only be open to people on foot—in groups of eight or less—and it will close at midnight. Critics say it is the vanity project of a few wealthy celebrities that has morphed into a wildly expensive boondoggle to be paid in part by a city desperately in need of real infrastructure, not one $300 million footbridge. In fact, this dynamic isn’t unique to London. In New York, there’s a similar project underway—designed by the same architect, Thomas Heatherwick. Except instead of a bridge, it’s Pier 55, a three-acre artificial island next to Manhattan that will function as a semi-public park and entertainment center. And instead of Joanna Lumley, it’s being spearheaded by billionaire Barry Diller and fashion designer Diane von Furstenberg. It will cost $170 million, $40 million of which is being carried by the city. Construction is set to begin in 2016. These parks both present an interesting dilemma for cities. On the one hand, they’re a good sign—they show more people taking an interesting in urban spaces, and the ability of cities to carve out partnerships that may ultimately spur development and urban renewal. Who wouldn’t want more parks? [T]he billionaire’s island, as some New Yorkers have called the project, is the latest, most extreme example of how big money and business elites are warping the way America’s urban parks are funded, widening the amenities gap between rich and poor neighborhoods. In London, the same thing seems to be the case. The Guardian talks to one architecture critic, Will Hurst, who says it has “sidestepped the normal rules of planning and procurement” that a normal publicly-finance project would be beholden to, while major infrastructure projects go unfunded. Of course, leaving a legacy that’s visible from the air is much more attractive to a wealthy donor than spending the same money improving existing parks, train systems, or subsidizing the cost of a bus ticket. People want to leave whole islands behind, not mere improvements. It’s a brave new world for city planning, and while it’s great that this generation of billionaires want to write their own chapter of urban history, both in NYC, London, and elsewhere, should they have carte blanche?